The SX Standard Series is the 'go to' rock and roll weapon. Sleek, and perfectly balanced, it caters for the player with a more modern taste. As standard, the body is constructed using US Alder, and bolt on a Rock Maple neck with an Indian Rosewood fretboard. Necks feature a glossed Ebony headstock veneer, with a propietory silky smooth 'Gunstock' Oiled Finish. The unique designs and ideas you see in the CustomShop models have inspired many guitarists to want one of their own. Custom made instruments are the heart and soul of what Ormsby Guitars do. But, to order a custom made instrument, you have to have a good idea what you want, a dream, and be very very patient while it is built. Some people just can't do that, or simply don't need the fancy inlays, the stress of choosing woods and pickups, etc etc. Some just want a great guitar, right here, right now. The CustomShop options offered by Ormsby Guitars are virtually limitless. Your dream, can at last become a reality! These instruments are designed starting with a blank piece of paper, and your input. Optic fibre lighting and inlays? Sure. Stones, shells, metals, synthetics, and timber for inlays? Absolutely! Nothing is out of reach... no specification too difficult to build. Be inspired! Multi award winning luthier, Perry Ormsby, has been manufacturing his custom hand-made instruments in Perth since 2003. Located in Beaconsfield, just south of sunny Fremantle, Ormsby Guitars is a local success story, striving forward despite the global downturn. All instruments are custom made from a variety of exotic and Australian timbers, their own hand wound pickups, and top shelf hardware. Guitarists sometimes replace their stock pickups in the hope of improving their guitar's tone. 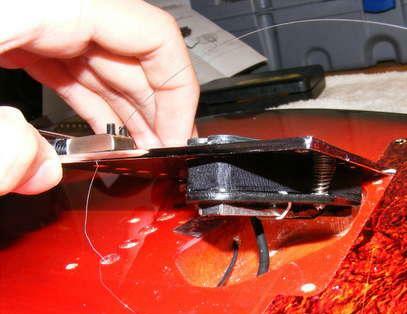 This step by step guide shows you how to swap your existing guitar-pickups for new ones. 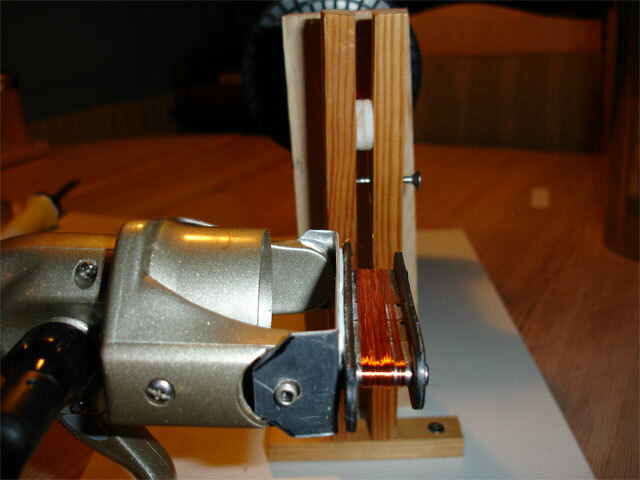 The instructable is written by John Smith who changed the bridge pickup on his Squier Telecaster to a Seymour Duncan Little '59 in the hope of a more Les Paul type of sound. But the same technique should be equally useful for other guitars. Serving Leicestershire, Nottinghamshire and Derbyshire and the rest of the UK Midlands I specialise in Electric Guitars. These could be compared to high performance sports cars. If you want them serviced or modified it's best to take them to a specialist. Whatever your style, be it rock, metal, blues, country, jazz etc., you need an instrument that is fast and easy to play so you can concentrate on performance and not on struggling with a guitar that is not holding tune or is holding you back.